Richards-Ross started running at the age of 7. At St. Thomas Aquinas High School in Fort Lauderdale, she lettered in Track and Field and Basketball in high school and is a member of the National Honor Society. In 2002 she was named National High School Female Athlete of the Year, USA Track and Field’s Youth Athlete of the Year, and Track and Field News Women’s Prep Athlete of the Year. She became a naturalized American citizen in 2002. As a freshman at the University of Texas in 2003, Sanya Richards won the NCAA national championship in the 400 meters with a time of 50.58. After her sophomore year in 2004, she turned pro. 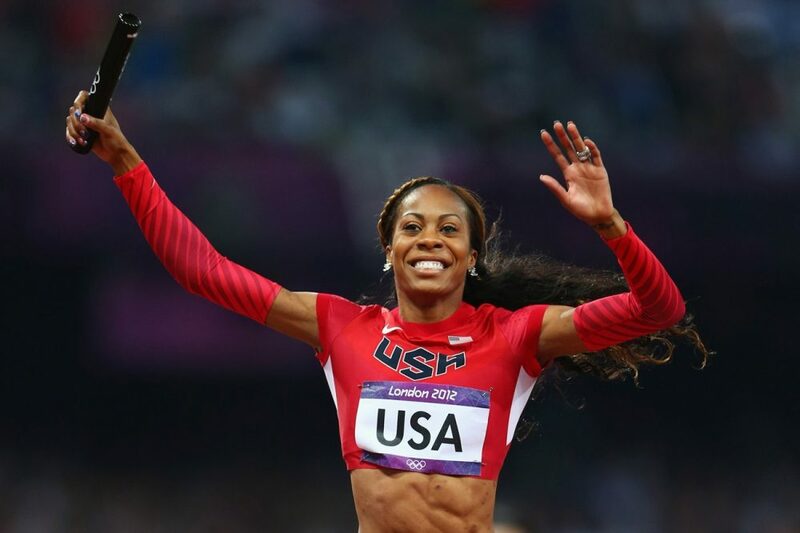 Sanya Richards-Ross is a Jamaican American track and field athlete who competes internationally for the United States. Richards-Ross won the Olympic gold medal in the 4×400 meters relay at the 2004 Olympic Games in Athens, the 2008 Olympic Games in Beijing, China and in the London 2012 Olympics. She won the individual bronze medal at the 2008 Olympics for the 400m. The following year, Richards-Ross became World Champion, winning a gold medal in the 400 meter race at the 2009 World Championships in Berlin. She won the gold medal in the 400m at the 2012 Olympics. Sanya dedicated the 2011 season to working her way back to form. Her best performance of the year came in at the Aviva Grand Prix in London, where she turned out an impressive time of 49.66 seconds over 400 meters. Encouraged by her performance, Sanya went on to defend her individual World title at 400 meters in Daegu, South Korea, but fell short. She went on to lead her teammates to gold in the 4×400 meter relay, becoming a World Champion once again. Sidelined by injury after injury, starting in early April, Sanya was unable to compete for the majority of the 2010 season. From the very start of the 2009 Track and Field Season, Richards-Ross was unstoppable, staking her claim on the World stage as 2009 World Champion. She was named IAAF World Female Athlete of the Year and is nominated for the prestigious Laureus Award, in the same category. In addition to earning her 5th U.S. National title, Richards-Ross’ name sits beside 6 of the 7 fastest times run in the world during the 2009 season, achieved while on the way to breaking the record for most 400m races run under 50 seconds with 39 sub-50 clockings and counting. Richards-Ross blasted her way to winning a share of the $1million Golden League Jackpot for the 3rd time, remaining undefeated in all of the 6 event races this season. Sanya recently joined Lance Armstrong in the fight against Cancer on the Livestrong campaign, and was chosen to don a custom made Livestrong uniform and golden spikes at a recent competition. 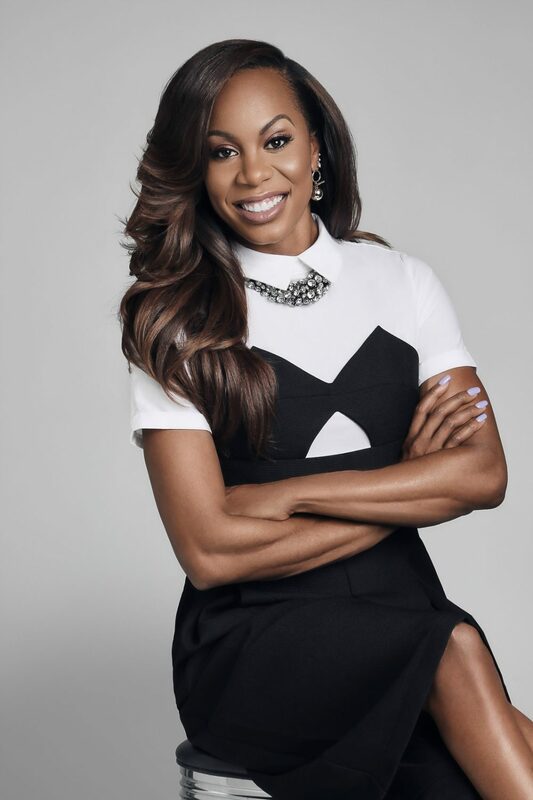 Sanya Richards-Ross is poised, proven, and eager to claim her seat on the throne as the Face of Track and Field. In the 2008 Olympic Games 400m final, Richards earned Team USA’s fourth Olympic medal ever in the 400m dash and the first since 1984. Running the anchor leg for the 4x400m, when Richards-Ross took the baton, she trailed Russia by several meters. In a stunning finish, and one of the highest rated moments of the Beijing Olympics, Richards-Ross overtook Russia moving into first, turning in a 48.93 leg and crossing the line in 3:18.54, the fastest time in the world since 1993…Richards-Ross staked her claim at the top of the U.S. heap in the women’s 400 at the 2008 Olympic Trials, sprinting away to win by nearly 1 full second, running 49.89.